Lawmakers in Togo on Friday began looking at a bill to revamp the country’s constitution and introduce a presidential term limit, after days of protests against Faure Gnassingbe’s regime. Nine members of the National Assembly law commission started to study the government bill behind closed doors late morning, an AFP correspondent said. At the same time, lawmakers started debate the proposals in the parliament chamber. They included opposition leader Jean-Pierre Fabre and three government ministers. The law commission will submit its conclusions on the bill then all lawmakers will study it in plenary session. 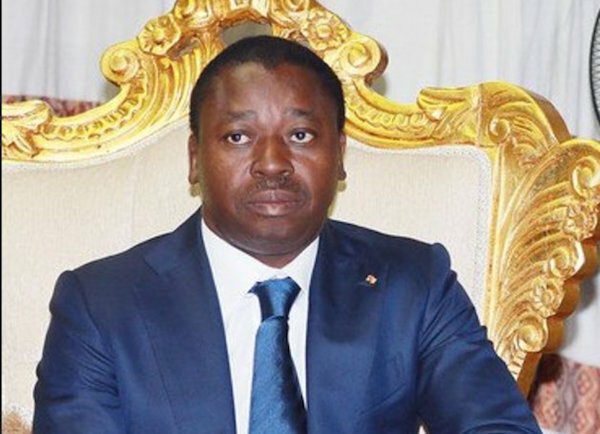 Gnassingbe’s government approved the bill last Tuesday on the eve of protests that saw hundreds of thousands of people take to the streets across the country calling for change. The president has been in power since 2005 and won three elections that have been disputed by the opposition. His father, Gnassingbe Eyadema, was president before him for 38 years. The opposition has long called for a limit of two, five-year terms for presidents and the introduction of a two-round voting system. New protests have been called for next Wednesday and Thursday and a counter-demonstration by government supporters has also been planned at the same time. Opposition leaders have called the government’s proposed reforms a “diversionary tactic”. If adopted, the limit would not be applied retroactively, leaving Gnassingbe free to contest the next two elections in 2020 and 2025. Togo is the only country in West Africa not to have presidential term limits. Previous attempts to have open-ended terms of office have seen popular protests in places such as The Gambia and Burkina Faso and forced the government out.